May the Hussle live on. The hip-hop community is in mourning after rapper Nipsey Hussle was gunned down on Sunday. The Crenshaw native made his way into the game after he sold his mixtape Crenshaw for $100 a pop. The number might sound crazy, but it worked because Jay-Z bought 100 copies. Nipsey continued his unconventional path and waited 10 years to drop his first major release. A Grammy nomination followed along with several entrepreneurial projects including the clothing store where he died. He also built a family with actress Lauren London, their son and his daughter from a previous relationship. Nipsey was open about his previous life in the streets. He joined the Rolling 60s Crips when he was a teenager and wanted to stop other young men from going down the same path. "I grew up in gang culture," he told The Los Angeles Times last March. "We dealt with death, with murder. It was like living in a war zone, where people die on these blocks and everybody is a little bit immune to it. I guess they call it post-traumatic stress, when you have people that have been at war for such a long time. I think L.A. suffers from that because it's not normal yet we embrace it like it is after a while." Many have spoken on what Nipsey had the potential to do, but we want to honor the incredible things he did with his short time on Earth. Open your music app of choice, blast his music and read up on Nipsey’s legacy. 1. He opened The Marathon Store. Nipsey already opened clothing store and convenience store The Marathon Store. The “Double Up” rapper staffed his businesses with residents from the surrounding neighborhood to ensure the income directly benefits the community. He even planned to open a barbershop and Creole restaurant. 2. He planned to help end gang violence. He was scheduled to meet with law enforcement a day after his death to discuss ending violence in inner city neighborhoods, according to a tweet from Los Angeles Police Department Commissioner Steve Soboroff. Nipsey was the perfect man for the job because of his experiences with gangs and violence. 3. He spoke to the fruitlessness of materialism. 4. He had plans to enter the real estate market. Nipsey and one of his business partners bought a plaza for “a couple million” and planned to knock it down so it could be replaced with residential buildings and retail space, according to Forbes. His clothing store, Marathon, was going to be one of the tenants. The plaza has a special meaning because it helped him get his start in the music game. 5. He stayed enlightening his folk. He spoke eloquently about colonialism without using a lot of inaccessible language. 6. 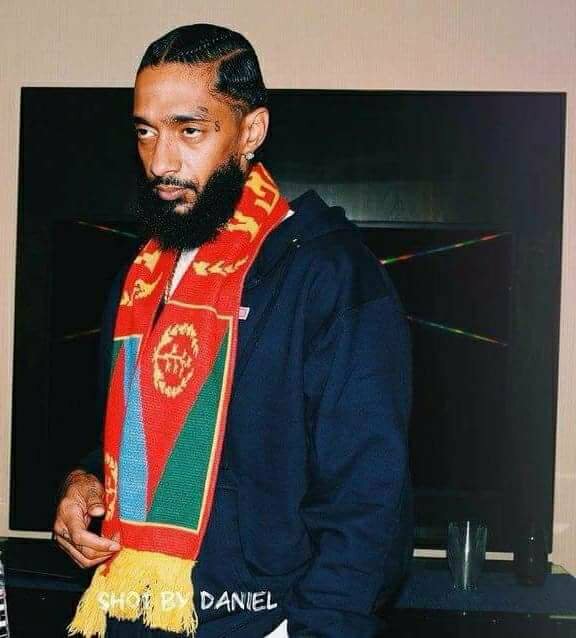 Nipsey embraced his African roots. Born to an Eritrean father and African American mother, Nip traveled to his father’s homeland in 2018, reports CNN. "I am here to visit my family and reconnect with my grandmother, my cousins and everybody else," Hussle said during his visit. "I love to be here. The people, the food, the culture, and the lifestyle are extremely good." Yemane Meskel, the country’s minister of information, sent his condolences on Twitter. 7. Nipsey planned to enter the STEM industry. The initiative, confidently titled “Too Big To Fail,” was supposed to be a “bridge between Silicon Valley and the inner city,” according to AfroTech. 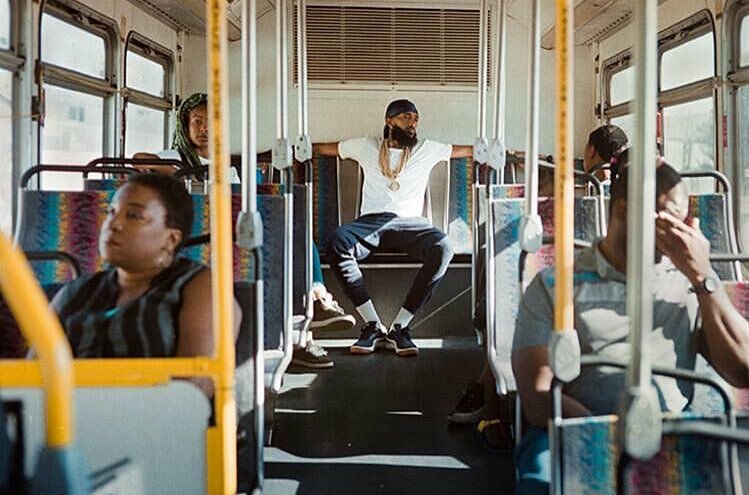 Nip wanted to establish it in his native Crenshaw and cities across the country. 8. He was a role model. Nipsey did so much for his community, and it’s clear he will be missed. Listen to this Crenshaw resident summarize the rapper’s impact. 9. Nip wanted to use his storytelling abilities for a documentary. Nipsey wanted to produce a documentary about controversial herbalist Dr. Sebi and his career, according to Heavy. The "Racks in the Middle" rapper was fascinated with Sebi and his battle with the justice system in the ‘80s. Sebi claimed he cured AIDS, and the government took him to court to refute his claims. When asked to show a cured patient, he brought 77 people. — Chris Landry (@RealChrisLandry) April 1, 2019separate interview about the documentary with Mink Slide Radio ">, host Tariq Nasheed referenced the mysterious death of Dr. Sebi. Nipsey said he'd actually been sent tweets advising him "to be careful" in the documentary's wake, to which he responded saying folks better "ride for him" if something happens to him.